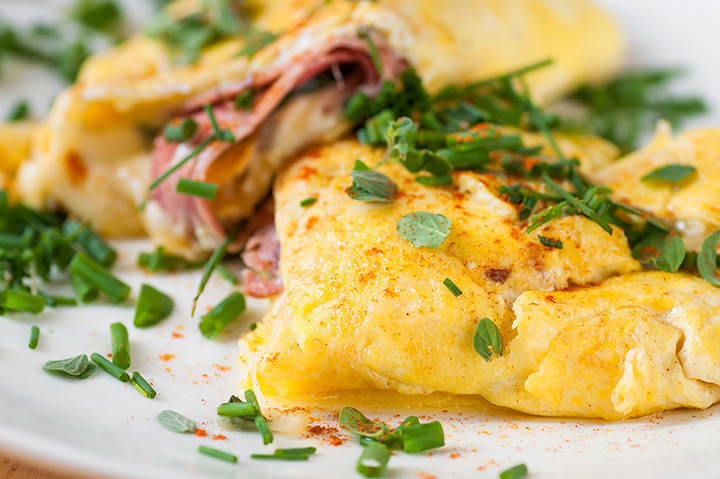 Starting off your morning with a hearty omelet will keep you moving throughout the day. From the egg whites-only to the create your own, the best omelets in Arkansas start with good eggs, delicious meat, and fresh veggies. Here are our picks for seven great places in the Natural State serving up the best omelets! This locally owned and operated café in Little Rock is popular among omelet-lovers. The delicious omelets on the menu at Andina Café go by names like Lil Pig, South of the Border, Razorback, Garden, and Ultimate. Andina Café is also popular for its rich, roasted coffee. This hot spot in Hot Springs has been exclusively serving breakfast since 1940. The menu here at the Pancake Shop hasn’t changed much in the last 70 years, which means they’re doing something right. From bacon to sausage to ham and cheese, the omelets are awesome at the Pancake Shop. This Eureka Springs landmark uses Grade “A” eggs in its delicious omelets. Myrtie Mae’s is located in the Inn of the Ozarks at the intersection of Hwy 62 and the Historic Loop. The omelets start with three eggs at this family-owned café in Forest City, Arkansas. The Old Saw Mill Café has long-been popular for its inviting family atmosphere and fast, friendly service. Loyal customers keep coming back for these hearty omelets as well as many other menu items. You’ll find some of the best down-home country cookin’ at this little spot in Siloam Springs. Not only are the omelets at Cathy’s Corner are some of the best you’ll ever eat, they are also HUGE! Due to the popularity of this restaurant, don’t be surprised if there is a slight wait for a table. The omelet breakfast at this Fort Smith landmark is one of the best around. The made-from-scratch omelets (like the rest of the menu) are ample in size. Calico County has been serving up comfort food to the River Valley area since 1984. When it comes to breakfast in the Northwest Arkansas area, it doesn’t get much better than Susan’s. This Springdale icon is well-known for serving some of the best food in the state and the home-cooked omelets here are no exception. Susan’s Restaurant serves breakfast from 6 a.m. to 2 p.m. daily.